Denim shorts are a summer staple. Like most of us, you’ve likely worn them summer after summer with your favorite tees and likely have made many a memory in these trusty bottoms. Add a grown-up spin this summer with fresh trends. See our favorite ways to wear jean shorts! We still love a good t-shirt with denim shorts, but trendy new tops can bring fresh life to your basic blues. Are you wearing your shorts to the farmers market or while running errands? Slip into slide sandals and throw on a colorful kimono or embroidered tank. Heading to lunch with the ladies? 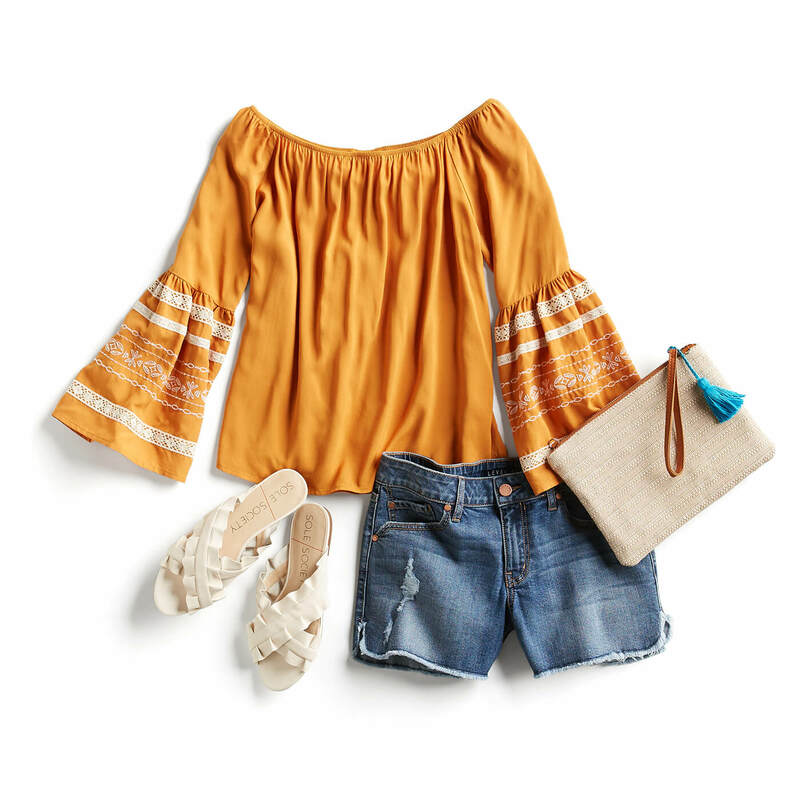 Take on trendy textures in a crochet tank or off-the-shoulder top. Must-read memo: You can look like a boss lady in denim shorts. Opt for a dark wash or crisp white denim and slightly longer hem when heading to happy hour. On top, go for a collared button-down or tie-neck blouse with wedges, then finish strong with a sophisticated blazer. Give your tried-and-true blue denim shorts a day off. Swap this timeless shade for a can’t-miss-it color, like cheerful coral or neon yellow. Top the look with a trendy peplum or tie-front tank. Have another style question? Go ahead and ask!